Researchers compared the changes in 235 fish and shellfish populations across 38 ocean regions that have occurred from 1930 to 2010 - a 4% decrease. A new study concludes that climate change is adversely affecting the quantity of fish in the oceans. The scientists also noted that overfishing, specifically in the Sea of Japan region - where the decline is as high as 35%, has significantly added to the problem. “We were surprised at the strength the impact of warming has already had on fish populations,” study lead author and University of California Santa Barbara ecologist Chris Free, stated. In 2016, 171 million tons of fish were taken from the sea, and that number is trending to rise to 201 million in the next 10 years. Overall, about 8% of the fish and shellfish populations that was studied experienced losses as a result of the ocean warming, while a 4% population increase took place in others, according to Science journal. Notably, the warmer waters can put metabolic stress on the fish, affecting reproduction or food sourcing - causing zooplankton - essential fish food - to decline. “It's like a one-two punch,” study co-author Malin Pinksy, an ecologist at Rutgers, remarked. According to the study’s findings, the sustainable catch of 124 fish and shellfish species have been directly linked to warming of the world’s ocean, over the past 80 years. “Food security is a big concern,” Pinksy explained, adding that an estimated three billion people use fish as their primary source of protein. “Beyond that... we also know that it has very important local impacts for those who make their livelihoods catching these fish,” the Rutger ecologist said, noting that “no-take” zones could be implemented as a population replenishing mechanism. The study also revealed that ocean temperatures have increased by about half a degree Celsius. Harrison Ford has launched a scorching attack on Donald Trump and other world leaders, for denying science in order to justify doing nothing to face the “moral crisis” of climate change. The actor best known for fighting off Imperial stormtroopers as Han Solo and writhing in snake pits as Indiana Jones has now taken on the combined might of climate change deniers, with Trump a top target. Though Ford did not mention the US president by name, the subject of his speech at the final day of the World Government Summit in Dubai was beyond doubt. Ford, at 76 four years Trump’s senior, has long been a campaigner for global environmental protection. He prefaced his speech at the summit with a short film, narrated in his trademark lion’s growl, featuring the character of Nature speaking about the future. Climate change denial and skepticism about established scientific truth have long been embraced by Trump. He has been propagating conspiracy theories about global warming since at least 2012, when he claimed it was a ruse by China to gain an unfair manufacturing advantage over the US. Only on Sunday, Trump issued yet another denigrating tweet in which he sought to mock the Democratic senator from Minnesota Amy Klobuchar, who had just launched a 2020 presidential bid, but ended up mocking climate science. He noted that Klobuchar had addressed global warming in her speech as snow fell around her. In an interview with CNN before his Dubai appearance, Ford criticized directly the Trump administration for being “bent on dismantling all of the gains we’ve made in the protection of the environment”. Antarctica experienced a sixfold increase in yearly ice mass loss between 1979 and 2017, according to a study published today in Proceedings of the National Academy of Sciences. Glaciologists from the University of California, Irvine, NASA's Jet Propulsion Laboratory and the Netherlands' Utrecht University additionally found that the accelerated melting caused global sea levels to rise more than half an inch during that time. A team of Chinese and U.S. scientists estimated that the world’s oceans are warming by up to 40% faster than previously thought. The oceans are warming faster than previously estimated, setting a new temperature record in 2018 in a trend that is causing major damage to marine life, a Science article published Thursday warns. "How fast are the oceans warming?" was the main question addressed by a team of Chinese and U.S. scientists in a research which demonstrates that "global warming is here and has major consequences already. There is no doubt, none!" 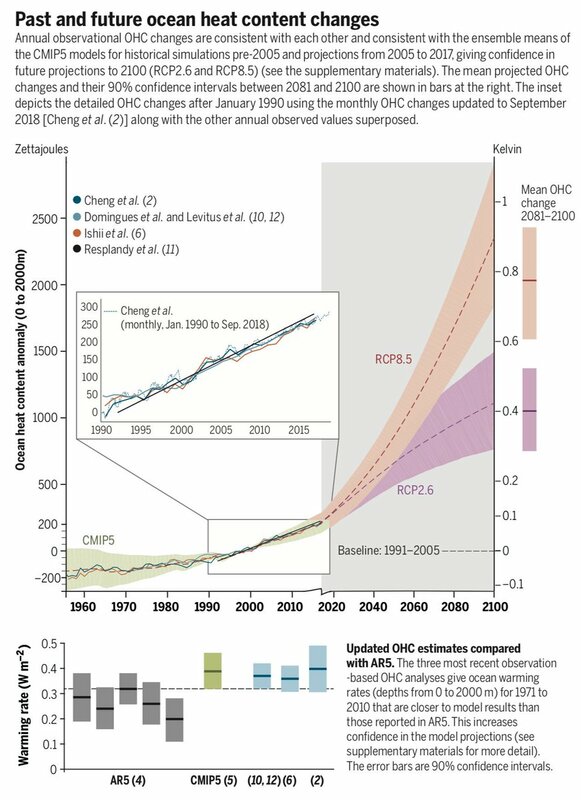 New measurements, aided by an international network of 3,900 floats deployed in the oceans since 2000, showed more warming - since 1971 - than calculated by the 2013 UN assessment of climate change. According to Lijing Cheng, a scientist from China's Institute of Atmospheric Physics, "2018 was the warmest year on record for the global ocean" as marine temperatures as far down as 2,000 meters rose about 0.1 degree Celsius. "Observational records of ocean heat content show that ocean warming is accelerating," the team of scientists stated and also explained that greenhouse gas emissions warm the atmosphere, and a large part of the heat gets absorbed by the oceans. The heat absorption process, in turn, changes the physical-chemical properties of marine ecosystems, which displaces marine like forcing them to flee to cooler waters. Deep ocean temperatures are less influenced by annual variations in weather and can take more than 1,000 years to adjust to changes like regions closer to the surface. "The deep ocean reflects the climate of the deep and uncertain past," Kevin Trenberth, a co-author of the study, said. Among effects, extra warmth can reduce oxygen in the ocean and damage coral reefs that serve as nurseries for fish, the scientists said. While warmer seas release more moisture that can stoke more powerful storms. Despite growing evidence of the human-driven global climate change, some heads of state and government across the globe - mainly far-right administrations - deny the existence of a problem. In that sense, for example, U.S. President Donald Trump and his allies, such as Brazil's President Jair Bolsonaro, have, recently, questioned and make advancements towards terminating some multilateral agreements and shuttering institutions that could help contain environmental threats to humanity. Katowice, Poland: Delegates from nearly 200 nations on Sunday began two weeks of talks to tackle deep political divisions at the most important U.N. meeting on global warming since the landmark 2015 Paris deal to shift away from fossil fuels. Expectations are low that negotiations in Katowice, at the heart of Poland's coal region, will fully resolve concerns laid out in reports over recent weeks on the severity of rising greenhouse gas emissions. "This is a very, very important conference," U.N. climate chief Patricia Espinosa told reporters. "It also takes place in a scenario where we have clear signals about the urgency with which we need to address the issues of climate change." Four former presidents of U.N. talks, including Laurent Fabius of France, who led negotiations for the Paris agreement, issued a statement urging "decisive action". 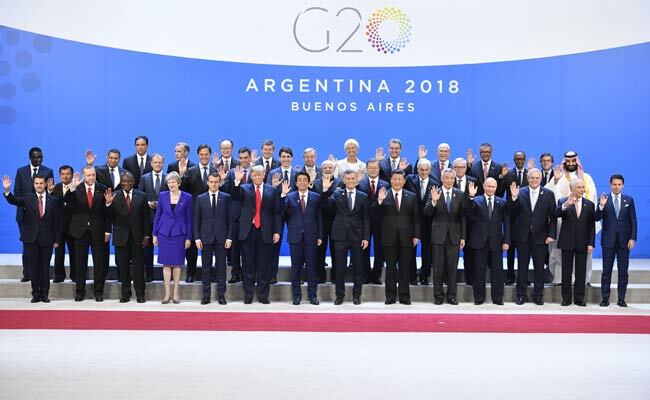 "The world is at a crossroads and decisive action in the next two years will be crucial to tackle these urgent threats," they said in the joint statement. 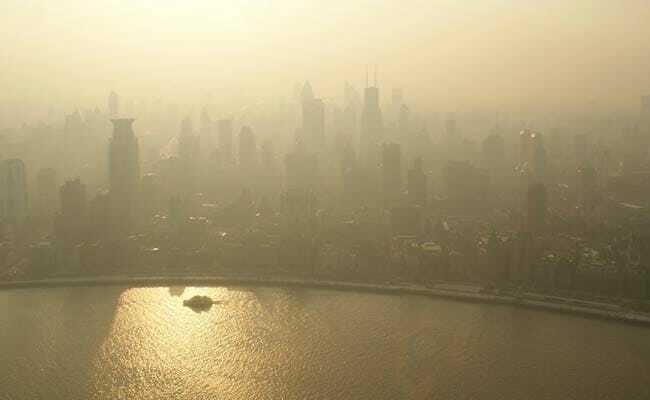 The other members of the group of industrialised nations - including the biggest polluter, China - reaffirmed their commitment to implementing the Paris deal, taking into account their national circumstances. The Katowice talks precede an end-of-year deadline to produce a "rule book" to flesh out the broad details that were agreed in Paris on limiting the rise in global temperatures to between 1.5 and 2 degrees Celsius. Poland is hosting U.N. climate negotiations for a third time, but the nation remains hooked on coal, the most carbon-intensive fossil fuel. Coal provides about 80 percent of Poland's power and has been a major source of employment and national pride. Scientists have been issuing apocalyptic-level warnings over the melting ice caps for years, and now a new data-based animation highlights just how much ice has broken off Antarctica in recent decades. The visualization by science animators Pixel Movers & Makers shows the accelerated level at which Antarctic icebergs have been melting since 1976 in just 51 seconds. The alarming clip highlights the region’s recent disastrous climate change events, such as the journey of B-15, the world’s largest iceberg. It broke away in 2000, measuring a colossal 3,250 square kilometers wide (1,250 square miles) – or about the size of Connecticut. 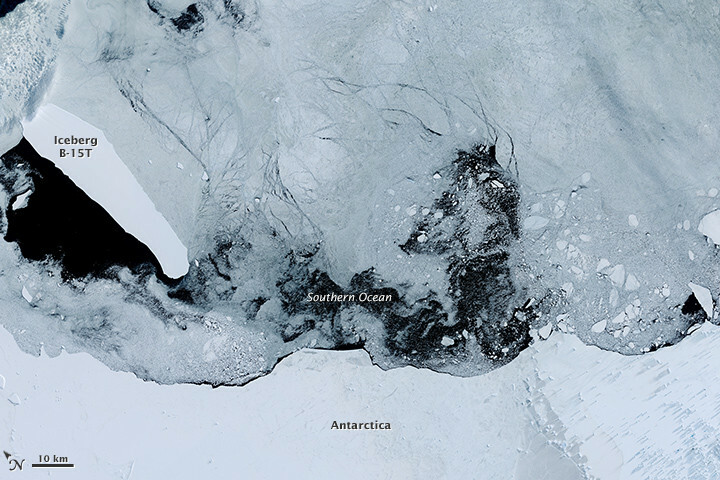 Also captured is the collapse of the Larsen B ice shelf in 2002 – a 3,250 square kilometers (1,250 square mile), 20 meter (720 ft) thick area of the Antarctic Peninsula that splintered and collapsed over a month. The striking video compiles data from several sources including NASA, the European Space Agency, the Antarctic Iceberg Tracking Database, and the Center for Remote Sensing at Brigham Young University (BYU). Scientists are only able to track the icebergs that are big enough to be monitored by satellites. Of course, the Earth-tracking technology we utilize today wasn’t available in the 1970s, so it’s difficult to determine just how much of the iceberg movement is a direct result of climate change. What is clear is that the rate of ice loss in Antarctica is accelerating, as more than 3 trillion tons have melted since 1992 – and 40 percent of that loss occurred between 2002 and 2017 alone. Materials provided by University of East Anglia. Note: Content may be edited for style and length.